“Hey, what are you, an evaluator?” yelled the balloonist. “You must be a program manager.” The hiker yelled back. “Well,” the hiker bellowed, “you don’t know where you are. You’ve made a promise that you have no idea how to keep, and now you expect me to solve your problem. Source unknown. Maybe I got it from someone at the American Evaluation Association. I found this story in my digital files the other day while, of course, looking for something else. It does come in handy; I’m thinking a lot about the relevance and utility of evaluation findings. Hey, help me out, if you know to whom I should attribute this, then by all means, leave a comment. Thanks. 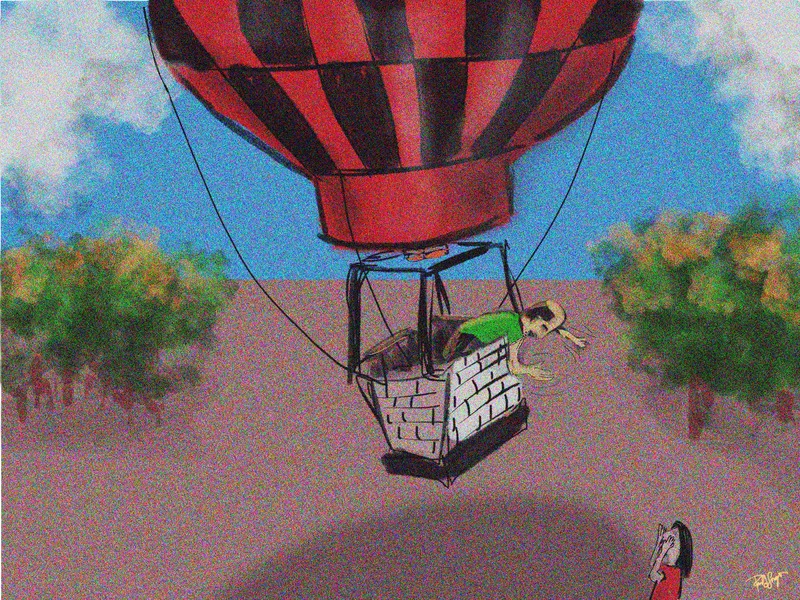 This entry was posted in Cartoon, Carving - Wood, Digital Artwork, Sketches and tagged communication, evaluation, evaluation findings, evaluator, hot air balloon, Michael Quinn Patton, Procreate, program management, program manager, technical competence, utilization focused evaluation by portfoliolongo.com. Bookmark the permalink. Wish it was me. That’s a good story. Are you sure it wasn’t you, Mr. Lesniakowski?